The U.S. government is not recognizing the Greatest Generation this year which is likely the last major anniversary of World War II many of these men will see ever see. Some of you may know that my father was someone I looked up to and it just so happened to be he was a WWII veteran. He like millions of others in his generation answered the call of duty and fought for other people's freedom thousands of miles away. We are in the middle of the 75th anniversary of WWII – but we only have two more years before the end of this important anniversary. You know who isn't remembering our WWII veterans and the sacrifices they made this year? The country these men fought for. That's right, the U.S. government is not recognizing the Greatest Generation this year which is likely the last major anniversary of World War II many of these men will see ever see. That is one reason our nation has a National Memorial Day Parade. This Parade is the largest of its kind. It is broadcast on T.V., streamed online, attended by hundreds of thousands of people, and broadcast by Armed Forces Network for troops around the world. The fact is that these men and women marching in the parade aren't doing this to be recognized. No, they have too much honor. They are doing this to ensure future generations won't forget their friends that paid the ultimate sacrifice defending our freedoms and liberating countries around the world so they could enjoy their freedoms. This very well could be these WWII veterans' last opportunity to march in the Parade in honor of those friends that never made it home. Will you help me cover the cost to get some WWII veterans to come to Washington, DC to march in the parade in order to honor their friends? I know a lot of veterans can't afford to travel across the country to be in the Parade. That's why I'm working with the American Veterans Center, the non-profit group that organizes and pays for the Parade to get a group of WWII veterans around the region to come to the Parade to march in honor of their fallen brothers that never made it home. In fact, the American Veterans Center has already found a great group of WWII veterans to be in the parade. They even received a gift of $5,000 from a donor to help pay for the cars to carry the large group of veterans in the Parade, now they just need to pay for the WWII vets to get TO DC! For $50, the same pay as a buck private received for a month in WWII, you will fund ONE veteran's trip to DC to ride in the Parade. I'd love to see a hundred World War II Veterans riding in the cars waving at the crowds and remembering their friends that they shared meals with, laughed with, and fought next to. Think about it: imagine you're a World War II veteran and you realize you may not have much more time left on God's green earth. Wouldn't you want the chance to ride in the NATIONAL Memorial Day Parade in honor of all your friends that didn't make it back? My father fought alongside some of these great men. He enlisted in the US Navy at 17 and served aboard the USS Long Island, which saw combat in the Pacific. At age 17! I know if my father was alive today and was able to he'd be riding in this important Parade in memory of his friends that never made it home. I hope you will consider a tax deductible gift to help The American Veterans Center which will bring some WWII veterans to Washington, DC to be in the parade to celebrate our living WWII veterans and remember all their friends who never made it home. I want to make sure that the WWII veterans that are still left and the families of the fallen know America will always be grateful. Please stand up and help us do what our government won't, honor our veterans by supporting the American Veterans Center's annual National Memorial Day Parade today. 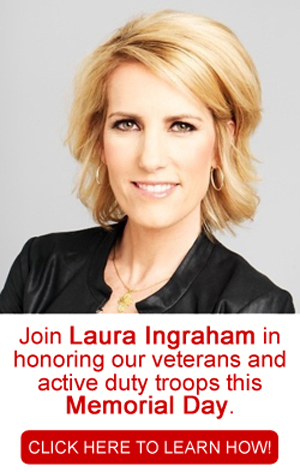 I'm a proud donor of the American Veterans Center and I hope you will be too. P.S. 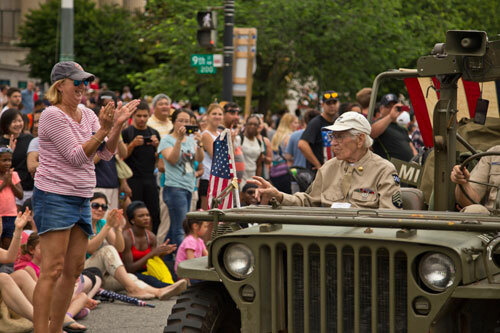 The National Memorial Day Parade is the kick-off celebration for our WWII veterans. Our government isn't doing anything to help. These World War II veterans don't want to be in the Parade to be praised and honored, no they are there marching for their friends that never made it back home. Please stand up and show them that the nation will always remember our veterans and their friends who have paid the ultimate sacrifice. Donations made to the American Veterans Center are tax-deductible. The American Veterans Center is a project of The American Studies Center, which is a 501(c)(3) non-profit educational foundation. If you would like to pitch to and show that the nation will always remember our veterans, click here.